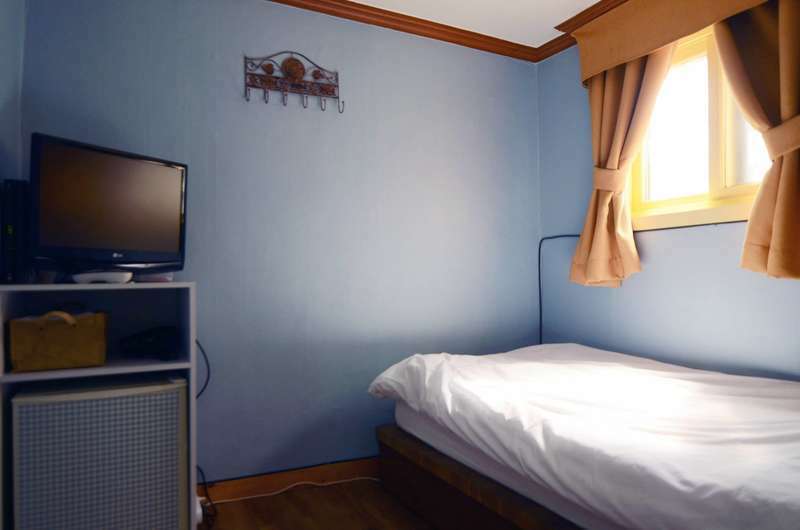 YaKorea Hostel Itaewon is located in the vicinity of Seoul’s vibrant Itaewon neighborhood. 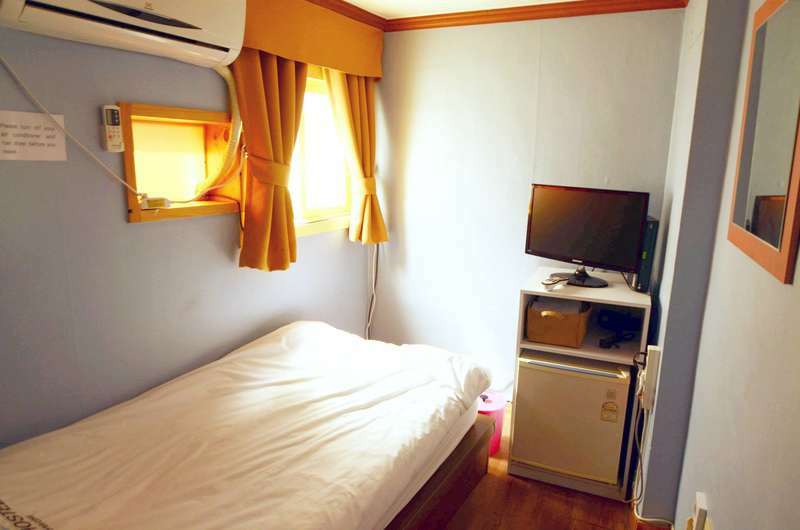 The hostel is just a short walk away from Samgakji Station on Lines 4 & 6 of the Seoul Subway. It is also located very near to the War Memorial of Korea, and just two stops away from the heart of Itaewon. 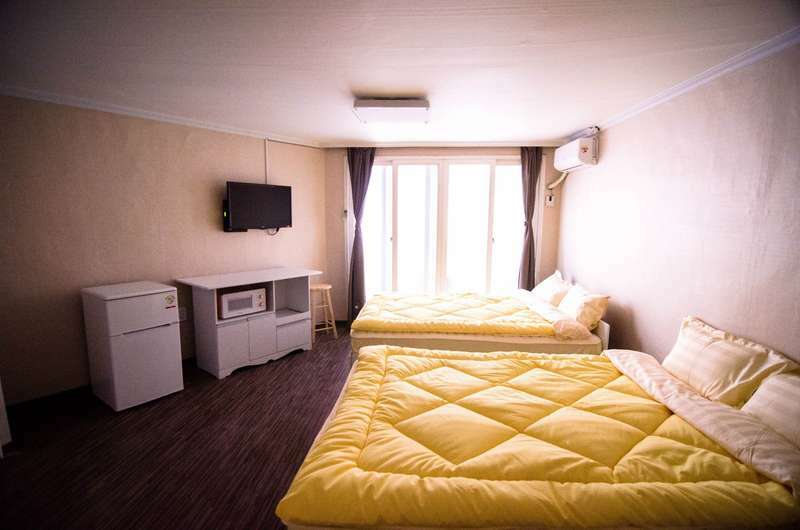 The hostel’s central location in Seoul makes reaching all of Seoul’s attractions such as Namsan/Seoul N Tower, Myeongdong, and Gangnam easily. There are many restaurants located nearby including both Western chains and traditional Korean eateries. We boast clean and cozy rooms, all with private restrooms en suite. You can also relax and meet friends from all over the world in our common area. Our common area includes a fully equipped kitchen for you to prepare meals at any time of day. Our professional staff is here to help you throughout your stay. Our friendly manager has a heart for music, and enjoys singing. Make a left at the Woori Bank, and continue down the small street, making a slight right down the larger street. With Dream Depot to your left make a right down the alleyway, and you will see YaKorea Hostel Itaewon! At Incheon International Airport, take the ALL-STOP Airport Express Railroad (AREX) heading towards Gongdeok Station. At Gongdeok Station, transfer to Line 6 of the Seoul Subway heading towards Samgakji Station. From Exit #14 walk straight towards the Woori Bank, and make a left once at the bank. Walk down the street until reaching the GS25 convenience store. If cancel before 1 day before check-in date, no charge. If cancel check-in day, 1 day pay charge. If no show check-in day, 1 day pay charge.